Huge thanks from Ant and myself to all our member in 2018. Without your support we couldn’t keep The Club and the bar and restaurant running. And if you’d like to renew your membership for 2019 that would be wonderful! Click here to download your 2019 membership form. Forms are also available at The Club. Everyone who has a mooring or a rack at The Club is required to become a member. Members have access to the water, use of The Club facilities, receive our irregular newsletter, have the right to fly The Club burgee and help Ant and I to maintain The Club with their support – for which we are most grateful ! Members also get 10% off their alcoholic drinks on presentation of their membership cards to the bar staff. However you do NOT have to be a member of The Club to use the bar and restaurant. To enquire about membership, permanent summer and/or winter moorings, or visitor and short term moorings, email Tom at admin@pnyc.co.uk or call 01326 340525. 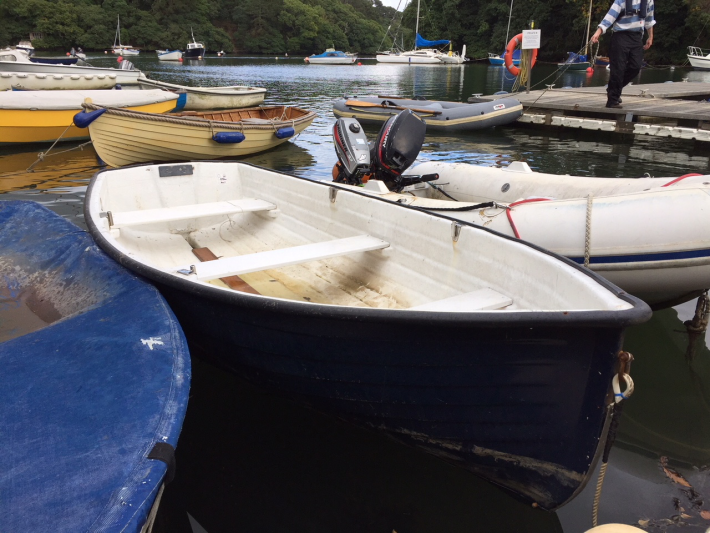 You can rent boats from Helford River Boats which is 10 minutes away by water and from Sailaway who will deliver to the club. 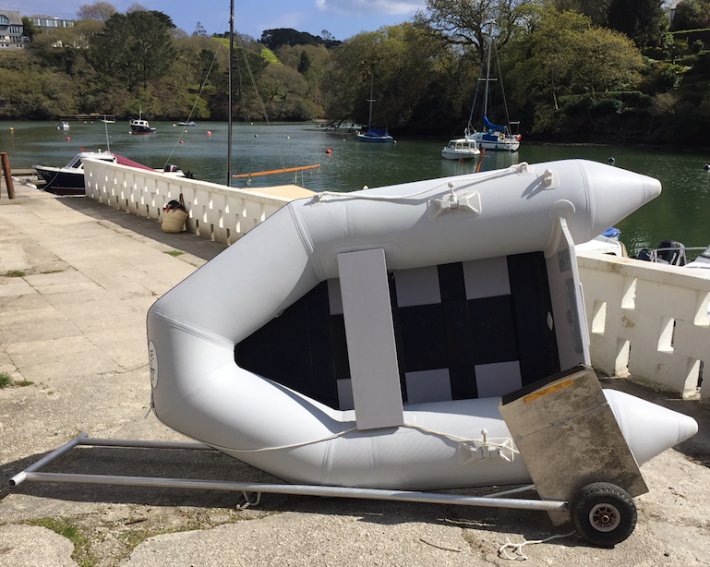 The Helford River Children’s Sailing Trust run fantastic courses for all ages from The Ferry Boat. 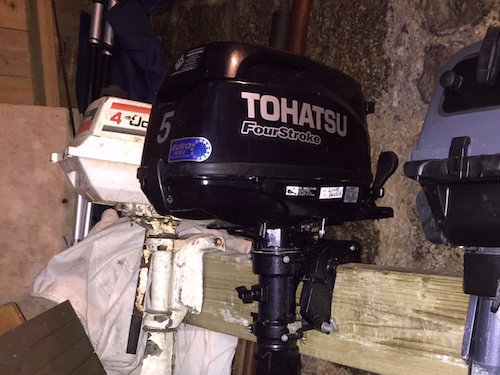 “Decibel” Lucas has a mint condition 5 HP, Tohatsu four stroke engine for sale. It has only done one outing for one hour. She is asking for £750 for this essentially “new” engine. If you are interested email us at admin@pnyc.co.ukand well put you in touch with her. Huge thanks from Ant and myself to all our member in 2018. Without your support we couldn’t keep The Club and the bar and restaurant running. And if you’d like to renew your membership for 2019 that would be wonderful! Click here to download your 2019 membership form. Forms are also available at The Club. 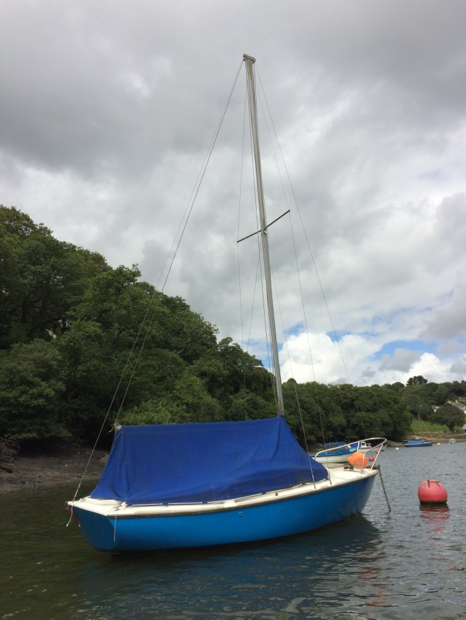 Member Robert Reid has a lovely Silhouette Mark 3 plus a tender for sale – £600. 17ft, fibre glass hull with a Lloyds Certificate. Good sails, new skeg and moored on the trots at PNYC just behind the big trimaran. Price includes a 2 metre fibreglass tender. Call Robert on 07815 324342. In addition, if the purchaser wishes to take over the mooring that can be arranged as well. The Club was set up in 1958 as a Private Members Club. Over the years, that was changed to allow Temporary Membership to visitors. This system became more “flexible” and in the end Giles decided to stop the membership altogether for the last two years of his tenure at the Club. When we took over 18 months ago, lots of people requested that the membership be re-instated. We love the idea of a membership, creating a club feel. But this has to be run alongside a policy of allowing members of the public to use the Bar and Restaurant (which our licence permits) particularly during the holiday season because without their patronage the Bar and Restaurant is, in our opinion, unsustainable. The only downside of allowing members of the public to use the Bar and Restaurant is the limited parking. But that has always been a problem and is just something we have to live with in exchange for having a Bar and Restaurant that can operate all year round. And our huge appreciation for your support in keeping the Club going! Because of our size and limited parking, we don’t have a racing schedule or a flotilla or sailing lessons. As a Londoner, I am just not qualified to organise any kind of racing (a volunteer to organise one club race a year would be welcomed with open arms and given as much support as we can). But we hope that the modest annual subscription of £15 is reflective of that. 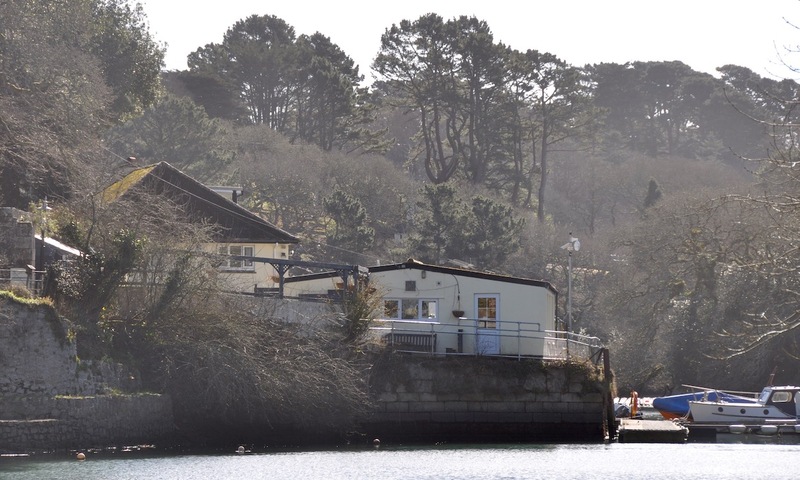 Helford River Sailing Club does all the above brilliantly well but membership is £11 to join and then £145 a year. Mylor is £128 per year. Royal Cornwall is £75 entry and up to £309 a year. The members subscription is used to help us improve the Club for everyone. Over the last 18 months we have brought the loos and shower into the 21st Century; replaced the holding tank with a brand new, environmentally friendly treatment plant; repaired and improved the beach wall; and made improvements (just a start) to the pontoons. Looking forward we plan to re-open the ladies and create a covered outside eating “bar” along the length of the clubhouse. Parking is a problem but it is something that we just have to live with and somehow it seems to work out – thanks in part to your patience and understanding. As we now move into the busy Summer season, unless you have a pontoon or trot mooring, please do not leave your car in the car park when you go out on the water – please park in the village. And only one car per boat. The two flats in Quay House are now rented almost continuously until the end of the Summer and they require one space each. 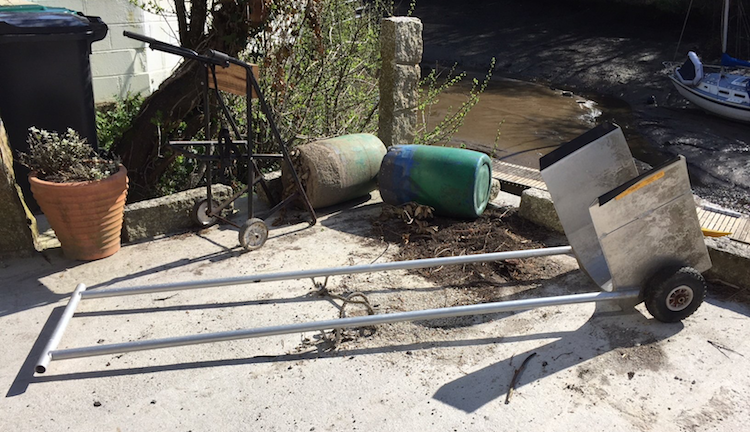 Last newsletter we offered to give away an undefined trolley which I, wrongly, assumed was a canoe trolley. Peter Goad, the creator of the said trolley, kindly contacted me from New Zealand to explain that it is in fact an inflatable trolley. Et viola ! We are trying to keep the Club tidy and uncluttered (although the current state of the shed might argue against this) so the trolley now has a new home with a member. Please could you name your engines, oars and lifejackets in the Engine Store. I have taken the liberty of adding a small sticker on each engine in the store so that you can add your name and contract number and have left a couple of permanent markers for you to use – one for the engine stickers and one for oars. There are a couple of engines that seem not to have been moved for a number of years – if these remain unclaimed we will take a view on moving them on. With help from my lovely friend Tim Hunt (PNYC Member for Hammersmith), we have re-planked the first pontoon as you come into the Club and put on anti-slip strips. We will remove all the remaining chicken wire this week, re-place any broken boards and put down a combination of stainless steel mesh and anti-slip strips. Let me know if you spot any planking that needs replacing. Tony has jet washed the entire pontoon except where the chicken wire is. We will finish the job next week. Following the theft of two outboards from Annabelle Lucas’s shed (aka Decibel) some 10 days ago, we have changed the combination lock on the engine store which is the first shed on your left as you enter the club. It was pointed out to me that with a small amount of muscle you could wiggle the small brass lock over the bolt and open the shed without the combination. So just to beef up the defenses, I have added a much bigger lock. Please contact me for the new code!